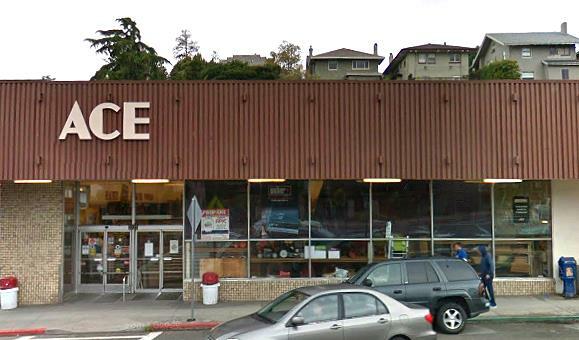 The Grand Lake Ace Hardware store is located on the Oakland – Piedmont border and has been part of the ACE helpful hardware story for a very long time. We are proud to serve the residents of Oakland, Piedmont and surrounding areas. Don’t let the Piedmont address fool you – the Oakland-Piedmont border runs right through our parking lot on Grand Avenue! Locally owned and operated, and with an abiding sense of responsibility to our customers, we carry everything you need and are looking for to repair, replace or improve all areas of your home both inside and out. If you need it, we have it! No matter what you are looking for, here you will find the best in electrical, lighting, plumbing, garden supplies and equipment, paint and stains, tools and power equipment to get the job done. We can advise you on the proper materials and how to use them to achieve your desired goal. If you get stuck, just come back and we will help until your project is completed successfully. And since we recognize that one of the hardest parts of getting a job done is knowing how to start, we stock our store full of both products AND helpful, knowledgeable staff to get you going in the right direction with the proper tools and products for your project or job. Our store aims to be the first and only stop you make for any home remodeling or improvement project your home might require. Give us a try – it’s our goal to insure that you will be very glad you did. ACE Hardware stores originated in 1924, starting out as a small chain of stores. Since that modest beginning, we have grown into the largest retailer owned hardware co-operative in the industry. Now consisting of more than 4600 stores in all 50 states and more than 70 countries, we have the years of experience and knowledge of products and services to help you with any of your home improvement needs. 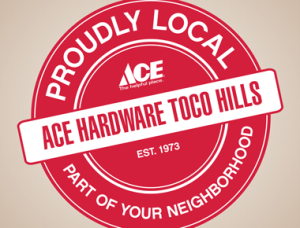 Since each ACE hardware store is independently owned and operated, you can be assured that our knowledge is geared to what our local community needs for plantings, repairs and projects. If we carry it, it is suitable for our customers. The ACE slogan is The Helpful Hardware Place, and we know how to give you personal advice and suggestions that are designated to work for you. From selecting the proper tools, how to use them, and what else you require, we know that helping you with your project is the most important part of any job we have. Whether you require something as simple as extra house or car keys, you can count on us to provide you with quality merchandise expertly crafted. At Grand Lake Ace Hardware in Oakland/Piedmont, we carry machines for cutting both acrylic sheets and glass, and can sharpen household knives or outdoor tools. We love paint because we know how affordable it can be and what a difference it can make in a relatively short period of time. 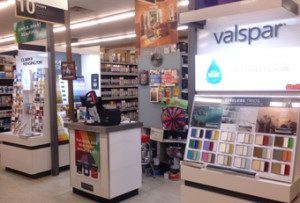 Our Oakland experts will help you choose the right finish or texture from our brand names which include Valspar, Clark & Kensington , Royal and Cabot. Have a swatch or sample from another manufacturer, or just a favored color from a household treasure? Our computerized Spectrophotometer can handle it. Want to show off your latest remodeling job with a backyard party? We carry a wide range of outdoor grills and smokers, and will even assemble it for you. Sorry but the grilling of steak is not something we offer! But we do offer either new propane tanks or refills. We also carry grilling tools, baskets and an assortment of charcoal starters and chips to keep you grilling happily for years to come. We not only keep up to date with what’s new, but we learn how to use these new items so that we can share the knowledge with you! From fireplace inserts to award winning plants, we’ll show you how to make the right choice and how to make it work for you. We can help you with seasonal projects like when and how to feed your lawn, how to winterize plants, what tools to use and how to clean your gutters, when to clean or refinish your deck. If you are a homeowner, you know the list can be very long indeed. Big Green Egg, Clark Kensington, Cabot Stains, Echo, Craftsman, Scott, Coles, Wild Bird Seed, Audubon, Bona, Rubbermaid, Lodge Cast Iron, Weber, Valspar, Purdy / Wooster Brush, Black+Decker, Dewalt, Farmer D Organics, C&S Wild Bird Suet, Mrs. Meyers, Ball Canning and Oxo.